And any incidents that render your vehicle out of order. In case of any damage to your vehicle, our workshop service will attempt to repair the vehicle at a reasonable fee on the spot or tow your vehicle to a destination of your choice within Arusha municipality and if unusable, we will safely move the vehicle to the desired location. 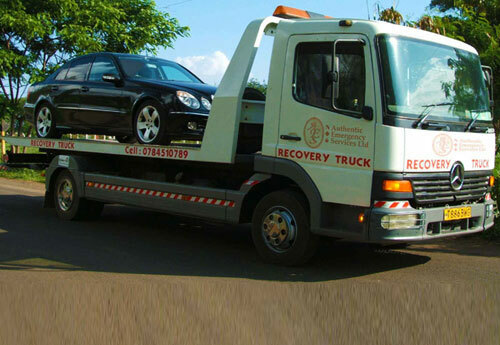 We have the best recovery truck which causes zero damage to your vehicle. Do not admit liability or agree for settlement of damages. Call our 24 Hour Rescue Hotlines. State your membership number (provided on the membership card) and vehicle registration number. Provide accurate details of the accident as requested by the rescue controller (exact location, nature of accident, injuries if any, extent of damage). Wait for AES rescue crew to arrive and assist you. AES will ensure that relevant and accurate information is collected to facilitate processing of your accident claim. You will be required to accompany AES to the police station to facilitate the processing of the Police Abstract. Provide accurate details of the incident as requested by the rescue controller (exact location, nature of theft, injuries if any). AES will ensure that relevant and accurate information is collected to facilitate processing your theft claim. You will be required to accompany AES personel to the police station to facilitate the processing of the Police Abstract. State your membership number and vehicle registration number. Provide accurate details of the breakdown as requested by the rescue controller (exact location, nature of breakdown). Do not allow any strangers to tamper with your vehicle. Delivery of fuel is free, but the cost of fuel is to be met by the member. 2 FULLY EQUIPPED ADVANCED LIFE SUPPORT AMBULANCES staffed with highly trained paramedics staff. 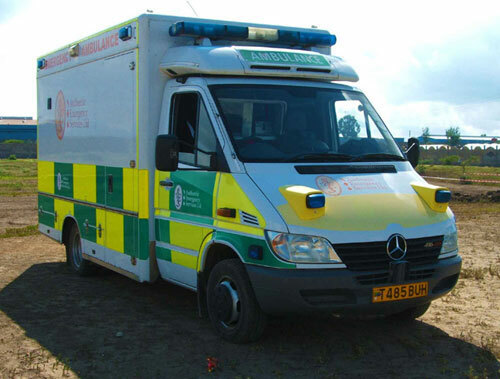 Wherever you are in Arusha you are covered by the BEST Paramedic Service in Tanzania. These units are equipped with the LATEST PRE-HOSPITAL CARE EQUIPMENT AVAILABLE ( i.e. 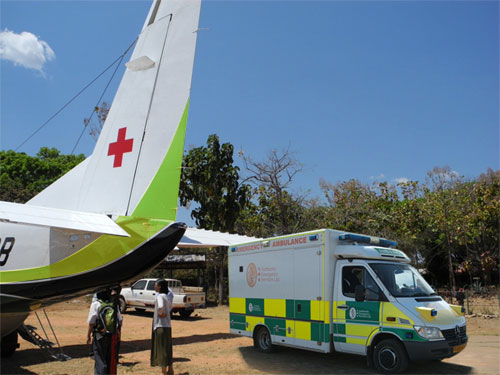 Life Pak utilizing pre-hospital 6 lead technology for early heart attack intervention, Pulse Oximetry and King Airways). Anyone at your property who requires Paramedic services will also be covered but at a fee (if not a member) i.e. if you have workmen on site and they have an accident whilst on your property – we shall respond to them. 1. Call our 24 Hour Rescue Hotlines. 2. State your membership number (Provided on the membership card). 3. Provide accurate patient conditions as asked by the rescue controller. 4. Provide accurate location of the incident. 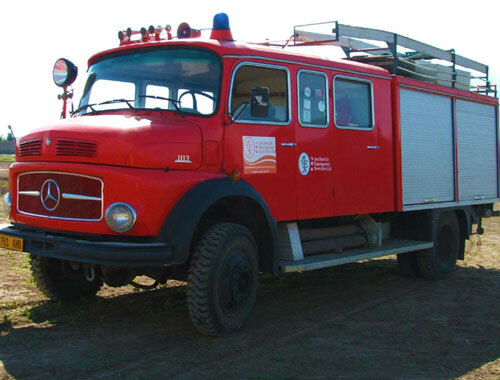 AES Air Evacuation is on standby 24 hours a day, 7 days a week, 365 days a year, ready to deploy at a moment’s notice to its members. You or your clients may have International Medical cover but this will not help you when you need IMMEDIATE FIRST AID RESPONSE ASSISTANCE for your loved one or your client. We offer you assistance from the scene of the incident all the way through to the hospital. 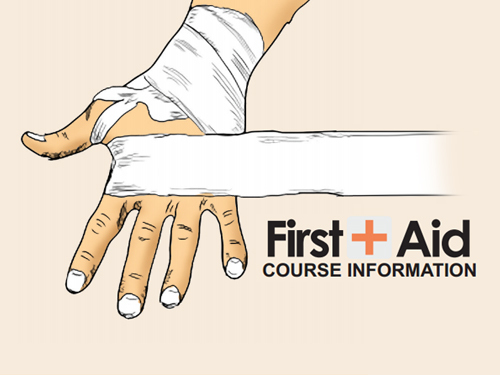 At last a first aid training courses package that makes sense, knowing what to do in those critical momments before professional help arrives may save a life. AES First Aid Courses are designed to do just that.